Tony Roy broke into the business at the same time as Paul Levesque (aka WWE’s Triple H) and they feuded on the indy circuit..
March 18, 1989–WWF: The Powers of Pain defeated Tony Roy and George Skaaland..
April 5, 1989–WWF: Bad News Brown defeated Tony Roy..
April 22, 1989–WWF: Akeem & Big Bossman defeated Tony Roy and Dave Flanagan..
June 30, 1992–WWF: Nailz defeated Tony Roy..
May 4, 1993–WWF: Yokozuna defeated Tony Roy..
May 25, 1993–WWF: Papa Shango defeated Tony Roy..
May 31, 1993–WWF: Razor Ramon defeated Tony Roy..
July 18, 1993–House Show: Mable and Mo defeated Tony Roy and Eddie Rapoza. July 25, 1993–WWF Raw: Adam Bomb defeated Tony Roy..
August 18, 1993–WWF: Headshrinkers defeated Tony Roy and Mike Davis..
September 28, 1993–WWF: Ludvig Borga defeated Tony Roy..
November 29, 1993–WWF: Crush defeated Tony Roy..
December 1, 1993–WWF: Bastion Booger defeated Tony Roy..
December 15, 1993–WWF: Shawn Michaels defeated Tony Roy..
February 2, 1994–WWF: Headshrinkers defeated Tony Roy and Scott Taylor..
March 12, 1994–IWF: Terra Ryzing defeated Tony Roy. March 22, 1994–WWF: Crush defeated Tony Roy..
March 23, 1994–IWF: Tony Roy defeated Tim McNeany. 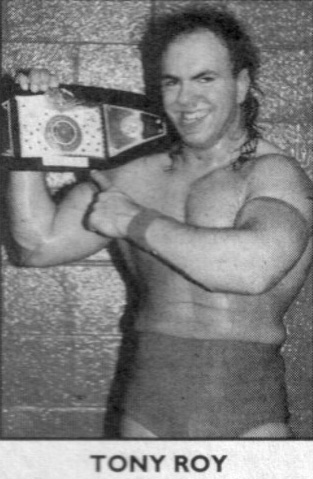 March 26, 1994–IWF: Tony Roy defeated Russian Mauler. April 26, 1994–WWF Raw: Owen Hart defeated Tony Roy..
April 28, 1994–WWF: Bam Bam Bigelow defeated Tony Roy..
June 3, 1994–IWF: Tony Roy defeated Chris Duffy. August 16, 1994–WWF: Jeff Jarrett defeated Tony Roy..
August 20, 1994–IWF: Tony Roy defeated Steve King. September 10, 1994–IWF: Tony Roy defeated Chris Duffy. October 17, 1994–WWF: Jim Neidhart defeated Tony Roy..
October 19, 1994–WWF: Heavenly Bodies defeated Tony Roy and Ben Jordan..
October 29, 1994–IWF: IWF heavyweight champion Tony Roy defeated Hammerhead to retain the title. November 30, 1994–WWF: Henry Godwinn defeated Tony Roy..
April 3, 1995–WWF: Men on Mission defeated Tony Roy and Ben Jordan..
April 5, 1995–WWF: Hakushi defeated Tony Roy..
August 14, 1995–WWF RAW: Tony Roy defeated Bert Centeno in a dark match. August 15, 1995–WWF: Waylon Mercy defeated Tony Roy..
October 23, 1995–WWF: Kama defeated Tony Roy..
November 11, 1995–House Show: Kama defeated Tony Roy..
May 25, 1996–Superstars: The Bushwackers defeated Tony Roy and Brian Walsh. September 26, 1996–IWF: Diesel defeated Tony Roy..
December 8, 1996–Superstars: Diesel and Razor Ramon defeated Tony Roy and Brian Walsh..
March 10, 1997–WWF Raw is War: Intercontinental champion Rocky Maivia defeated Tony Roy to retain the title. June 14, 1997–Shotgun Saturday Night: Nick Barberry defeated Tony Roy in a dark match. July 26, 1997–Shotgun Saturday Night: The Headbangers defeated Tony Roy and Scott D’Amore. December 14, 2011–CW: Antoine Roy defeated Steve King. 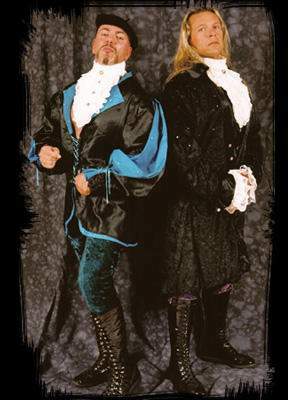 June 27, 2003–WWA: Brutus Beefcake and The Boston Brawler defeated Antoine Roy and Kurtis Francois. June 28, 2003–WWA: Antoine Roy defeated Kurtis Francois. January 10, 2004–NECW: Antoine Roy and Rush defeated Frankie Arion and Kurt Adonis. February 11, 2006–PHW: Ka Hoku and Makua defeated Antoine Roy and Rush to win the tag team titles..
July 7, 2006–USWF: Antonio Roy and Robert Rush defeated Tony Atlas and Antonio Thomas..
July 14, 2006–Big Time Wrestling: Slyck Wagner Brown and Tre defeated Antonio Roy and Robert Rush..
September 22, 2006–Big Time Wrestling: Brutus Beefcake and Greg Valentine defeated Antonio Roy and Robert Rush..
December 1, 2006–Big Time Wrestling: Doink the Clown (????) defeated Antoine Roy in Chicopee, Massachusetts..
March 2, 2007–Big Time Wrestling: Kevin Landry defeated Antoine Roy in Chicopee Massachusetts..
March 24, 2007–USWF: Antonio Roy and Tre defeated Big Bear Matoush and Wolfman Banford..
April 7, 2007–USWF: Brutus Beefcake and Greg Valentine defeated Antonio Roy and Robert Rush to win the USWF Tag Team titles..
May 12, 2007–Big Time Wrestling: Slade (Antonio Roy) and Rush defeated Big Bear Matoush and Wolfman Banford..
September 1, 2007–Big Time Wrestling: Tony Roy defeated Tre in Falls Count Anywhere match..
June 28, 2008–BTW: Antonio Roy and Robert Rush defeated Scott Ashworth and Kurty Adonis..
November 7, 2008–BTW: Dukes Dalton and Mike Hallow defeated Antoine Roy and Rush by disqualification. November 8, 2008–BTW: Tre defeated Antoine Roy. December 6, 2008–Big Time Wrestling: The French Connection defeated Gangsta and Slyck to retain the BTW Tag Team titles..
January 10, 2009–BTW: Slyck Wagner Brown, Tre, Eric Egoh and Tony Delfonzo defeated Antoine Roy, Rush, Jack Maverick and AJ Mitrano. March 13, 2009–WWA: Antoine Roy, Rush and Fifi defeated Eric Alden, Shane Alden and Barbie. 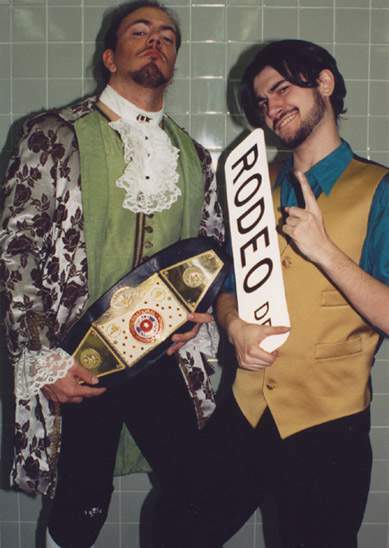 March 14, 2009–WWA: Eric Alden and Shane Alden defeated Antoine Roy and Rush by disqualification. March 27, 2009–BTW: Reid Flair defeated Antoine Roy. March 28, 2009–BTW: Greg Valentine and The Honky Tonk Man defeated Antoine Roy and Rush. March 29, 2009–BTW: Greg Valentine and Reid Fleir defeated Antoine Roy and Rush. May 1, 2009–BTW: Eddie Delfonzo, Robbie Delfonzo and Lonestar defeated Antoine Roy, Rush and Lord Wendall Weatherbee. June 6, 2009–BTW: Eddie and Tony Delfonzo defeated Antoine Roy and Rush. June 19, 2009–BTW: BTW tag team champions Slyck Wagner Brown and Tre defeated Antoine Roy and Rush to retain the titles. July 3, 2009–WWA: Antoine Roy and Rush defeated Eddie and Tony Delfonzo by disqualification. July 10, 2009–WWA: Eddie and Tony Delfonzo defeated Antoine Roy and Rush. September 21, 2009–NWA on Fire: Antoine Roy defeated Tommaso Ciampa. November 13, 2009–NWA on Fire: Antoine Roy defeated The Giant Pharaoh by disqualification. April 9, 2010–BTW: Jim Duggan defeated Antoine Roy. April 10, 2010–BTW: Rush defeated Antoine Roy. August 14, 2010–BTW: Rush and Miss Sugar Mindy defeated Antoine Roy and Lord Wendall Weatherbee. September 25, 2010–BTW: Rush defeated Antoine Roy in a last man standing match. November 19, 2010–BTW: Flex Armstrong defeated Antoine Roy. November 20, 2010–BTW: Flex Armstrong defeated Antoine Roy. March 25, 2011–BTW: Antoine Roy defeated Todo Loco. March 26, 2011–BTW: Antoine Roy defeated Flex Armstrong. March 27, 2011–BTW: Jim Duggan, Rush and Tony Atlas defeated Antoine Roy, Benny Jux and Jimmy James. September 23, 2011–BTW: Jim Duggan defeated Antoine Roy. October 1, 2011–BTW: Jim Duggan defeated Antoine Roy. December 10, 2011–BTW: Jack Maverick defeated Antoine Roy. February 10, 2012—BTW: BTW tag team champions Slyck Wagner Brown and Bobby Ocean defeated Antoine Roy and Rush to retain the titles. February 19, 2012–BTW: Cousin Larry defeated Antoine Roy..
March 9, 2012–BTW: Bobby Ocean, Slyck Wagner Brown and Tre defeated Antoine Roy, Carlito and Midianne. 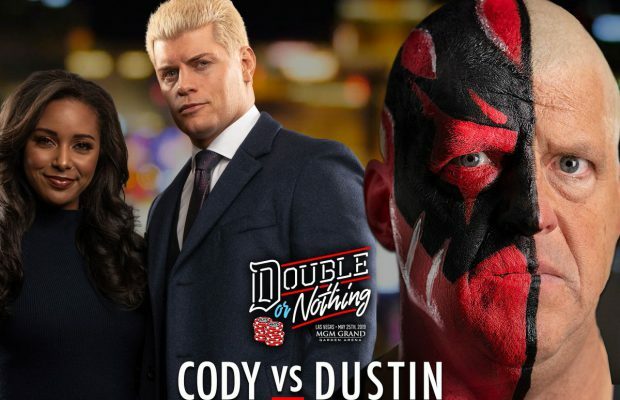 March 10, 2012–BTW: Antoine Roy and Rush defeated Flex Armstrong and Jack Maverick..
September 5, 2012–BTW: Antoine Roy and Barbie defeated Rush and Jillian Hall. October 6, 2012–BTW: Cousin Larry and Tony Atlas defeated Antoine Roy and Rush. March 15, 2013–BTW: Slade and Slash defeated Lonestar and Todo Loco. March 16, 2013–BTW: Tony Roy defeated Damien Darling and Rush in a 3-way match. March 23, 2013–BTW: Rikishi and Spike Dudley defeated Slade and Slash. March 24, 2013–BTW: Rikishi, Tony Atlas and Cousin Larry defeated Antoine Roy, AJ Mitrano and Mr. TA.